1. Block Caller ID: Punch in #31# before you dial a number, and the person you’re calling won’t be able to see that you’re the person calling. 2. Get a precise signal strength: Dial *3001#12345#. This will bring a list of options. Ignore all of them and hold down the power button. Once the power screen pops up, press the home button until the home screen appears. This will change the bars signals to numbers. Between -40 and -80 is a strong signal, below that is a bad signal, and if you’re around -140, you are one lucky dude. 3. 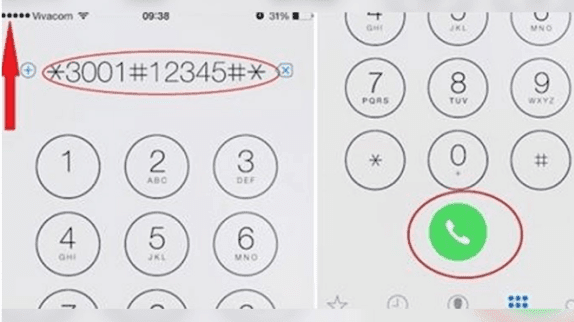 Get your phone’s unique identifying number: every phone has one, just like cars have VIN. Just dial #60# to bring it right up on your screen. 4. Find out where texts go: Did you think texts go from phone to phone? You’ve been living a lie your whole life! There’s actually some sort of middle man. Turns out they’re routed wirelessly to a message center by a particular phone number. You can see this number by punching in *#5005*7672# and pressing dial.